Researchers at the University of New Brunswick are turning to the campus hockey arena to seek recruits for a novel new study testing whether male bonding and passion for sport can bolster the health of overweight sports fans. Kinesiology and psychology researchers at the university are on the lookout for middle-aged men who are avid fans of UNB’s nationally ranked men's Varsity Reds hockey team and, well, are out of shape. The fans will undergo a 12-week intervention designed to improve not only their weight and physical condition but attitudes toward a healthier lifestyle. It’s part of a quest to find out if men can be coaxed into a more active lifestyle by leveraging the social bonds kindled by watching hockey together. About six in 10 Canadian men are classified as overweight or obese, says Dr. Bouchard, yet most fitness and lifestyle programs are geared to, or tend to attract, women. “Lifestyle interventions have been shown to reduce the risk of chronic disease in both men and women but engaging men in chronic disease prevention and management is a challenge,” she says. Through this study, Dr. Bouchard and colleagues will be testing the effectiveness of an intervention program first introduced in the U.K. aimed at overweight male soccer fans and later adapted by Dr. Robert Petrella at Western University in London, Ont. to serve men who love hockey. The theory behind the Hockey FIT program is that men can be rallied to lose weight and lead a healthier lifestyle by tapping into their love of the game and the power of camaraderie among male fans. The UNB study will build data around the effectiveness of the Hockey FIT intervention with Varsity Reds fans and whether it is leading to lasting change. The fans will be measured and evaluated for fitness and physical activity levels. They will also be surveyed about their health history, dietary habits, emotional wellbeing and perspectives on their team. They will meet in groups of 20 once a week for 90 minutes to discuss strategies around healthier lifestyles, dealing with stress, exercise and nutrition – including, of course, the calorie counts for beer and chicken wings. They will also exercise together, with the amount of exercise growing over the 12-week intervention. They will be measured again to evaluate progress on fitness and weight at the end of the program. A callout for volunteers for the study has gone out at Varsity Reds hockey games but researchers are open to recruiting more – they are looking for male fans of the varsity team between the ages of 35 and 65 who live in the Fredericton area. Those interested can call 458-7034 or email cellab@unb.ca. Photo 1: Fans and players of the University of New Brunswick Varsity Reds men’s hockey team erupt at the 2017 University Cup. Credit: James West Photography / For U SPORTS. 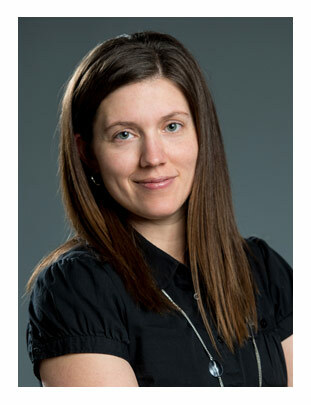 Photo 2: Danielle Bouchard, an assistant professor with the faculty of kinesiology at the University of New Brunswick. Credit: Rob Blanchard / Photo UNB.